1. 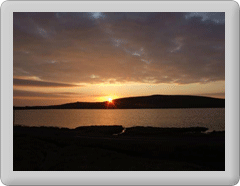 I want to start a business or move my business to Fetlar, is there any support available? 2. I want a job. Where can I find out about vacancies? Check our situations vacant page or contact the Fetlar development worker for details of any jobs possibly coming up. You should also contact the Job Centre consider visiting the Shetland Islands Council jobs page. 3. Are there any business premises available? Please check under this section http://www.fetlar.org/employment-and-entrepreneurship where any businesses for sale will normally be listed. There are however some properties which could be converted, subject to the usual permissions. 4. What about somewhere to live? You should check out the housing section for details of rented accommodation and houses on the market for sale. If you are considering a new build, please contact the Fetlar development worker for advice and information on potential sites and local information. Please note we always recommend that you get a survey done before buying a property, Local Builders charges can be expensive compared to other parts of the country and reputable builders difficult to obtain due to the lack of locally based firms. 5. What about education for my children? Fetlar has its own primary schooland nursery. Secondary aged children can travel to Unst each day to attend Baltasound Junior High, or they can board during the week and attend the AndersonHigh School in Lerwick. More about Fetlar education services. 6. If there is no fuel on the island where do we buy it? There are four places on Yell and two place on Unst as well as various places on mainland Shetland where you can buy fuel. One of the outlets on Yell is typically amongst the cheapest for fuel in Shetland. An electric vehicle charging point has recently been installed by Fetlar interpretive Centre. Alternatively some people have their own diesel tanks. 7. Is there a shop on the island? There is currently no shop on the island, but there is interest from several parties in buying the premises and reopening the shop. For more information visit our shopping page. 8. Is there a pub? No there is no pub but the hall bar is open every Saturday night. 9. Is there somewhere to eat out? The B&B may offer evening meals to non residents by prior arrangement. In summer (May - August) their is normally a cafe however there is no confirmed service for 2016. 10 Is travelling to the island expensive? The costs of moving to Shetland are not insignificant. For costs of getting to Shetland from the UK please contact Northlink ferries. Travel within Shetland is not expensive compared with similar services elsewhere. The ferry into Fetlar is free for those travelling from the mainland, but not for local travel in the North Isles. Local ferry charges can be accessed on the ferries website. Books of discounted tickets are available. Once resident in Shetland there are discounts available on both Ferry and Air travel to mainland Scotland. For further information refer to Northlink ferries website or to the Scottish air discount scheme. 11. Is there any crime? No there is virtually no crime. There isn't even a policeman on Fetlar, although there are officers stationed on Unst and Yell if required. 12. What about health care? There is a resident district nurse. Fetlar is covered by the Yell+Fetlar GP practice located in Yell. A doctor visits every second week for routine appointments. Appointments for both medical and dental care are available at the Yell Health Centre. Please see our health and Social care page for more information. Read more about health and social care. 13. Can you get digital TV? Yes terrestrial digital freeview is available, as are Freesat and Sky TV. 14. What broadband provision is there? Fetlar has an island-wide community wireless system as part of a project being run by the Council. Generally download speeds of up to 10Mbps and upload speeds of around 3Mbps are available, but these can vary as it is a contended service. There is also BT broadband available ADSL up to 8Mb, however due to the location of the exchange this isnot really available on the east side of the island. . Please contact the development worker for more detailed information. Please note we are due for a major upgrade of our wireless system during 2013. 15. Is there a good community spirit? Yes! Fetlar is a very close-knit but welcoming community, where many people put in lots of voluntary time to ensure the success of community organisations, projects and events. 16. What about Vetinary services ? The nearest Vets are based on mainland Shetland. However normally every Thursday a Vet visits Unst/Yell, so only a short trip out to met the Vet is required.